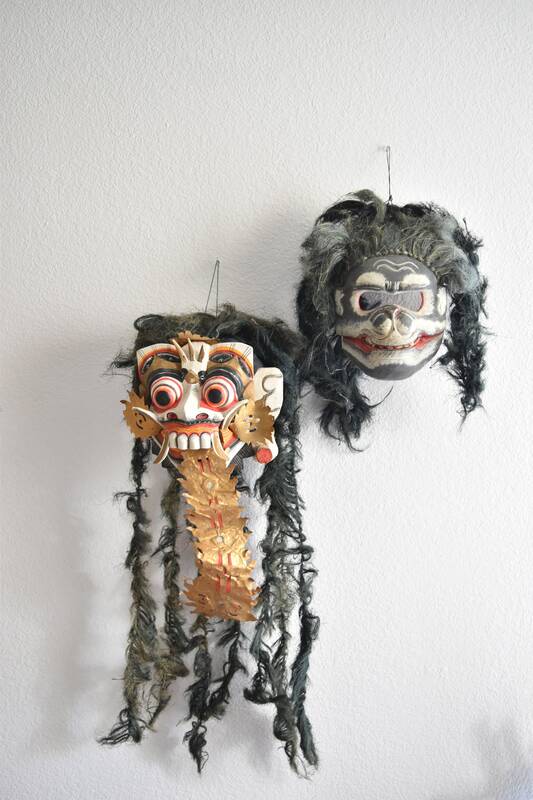 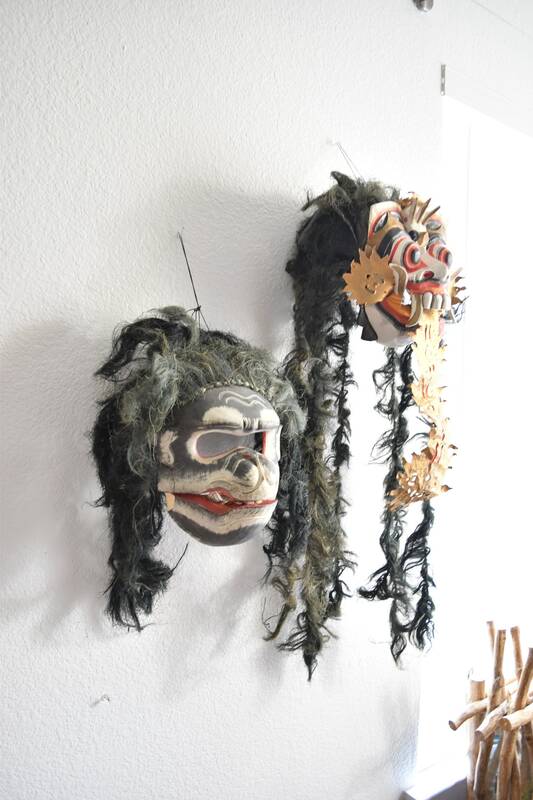 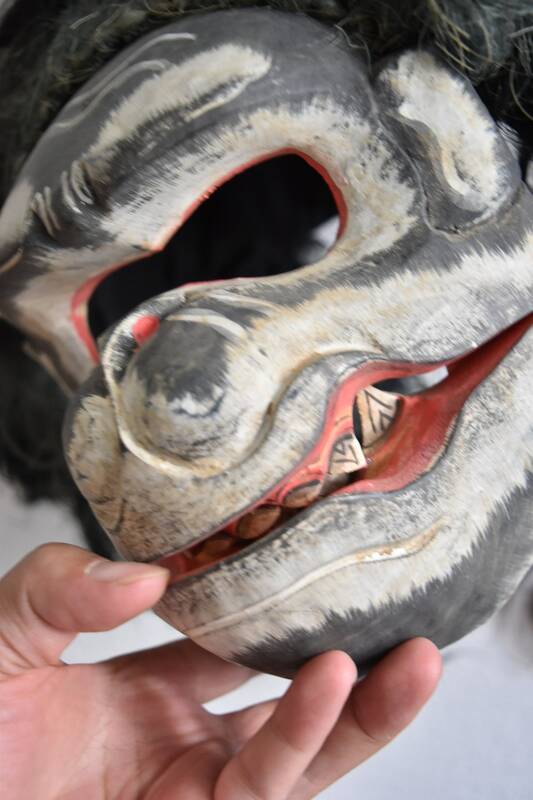 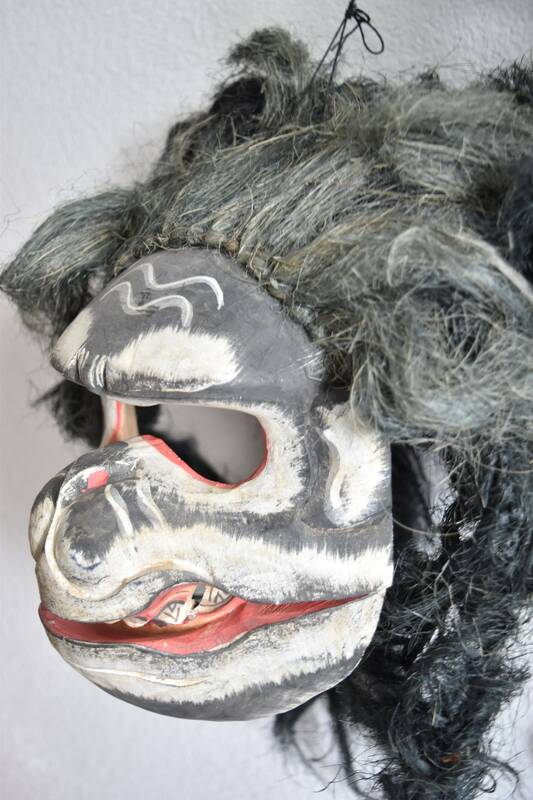 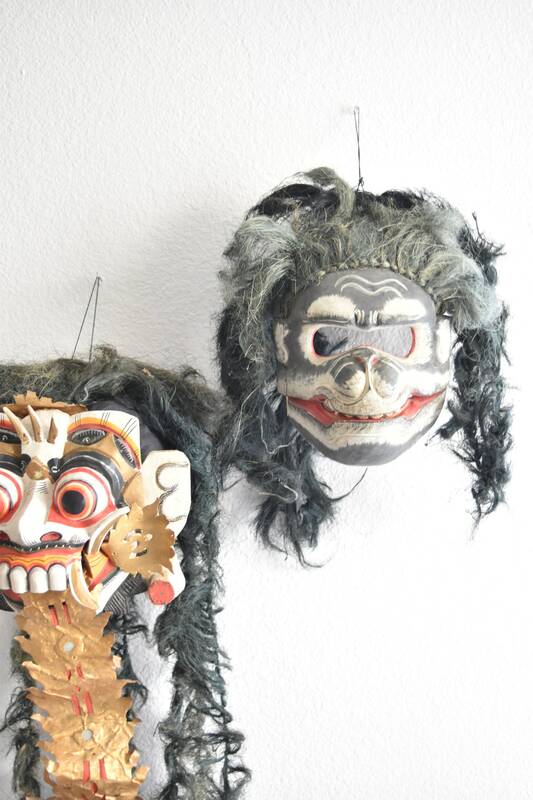 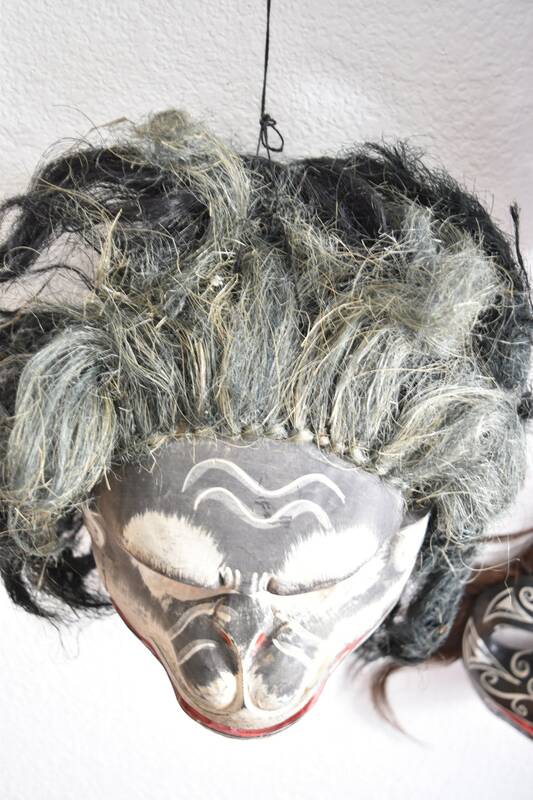 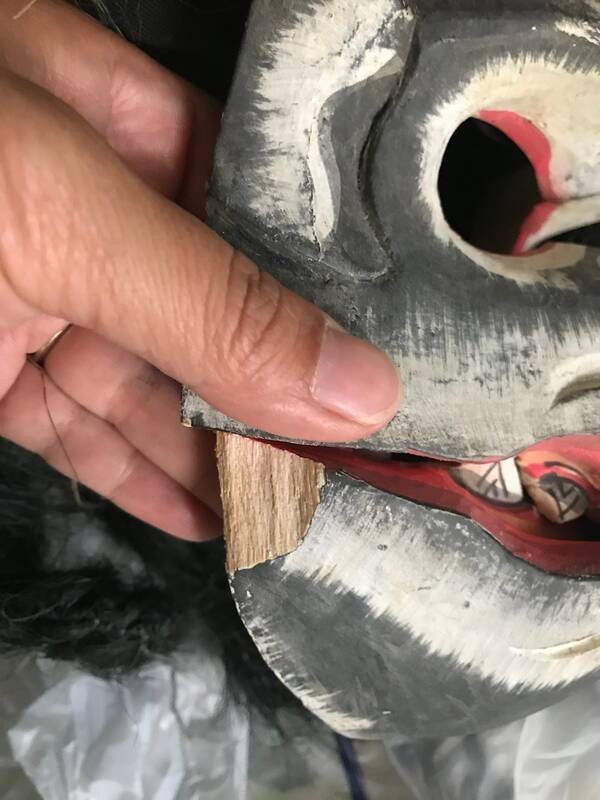 Mid century hand painted, hand carved wooden Balinese Monkey mask with what looks to be dried grass hair. 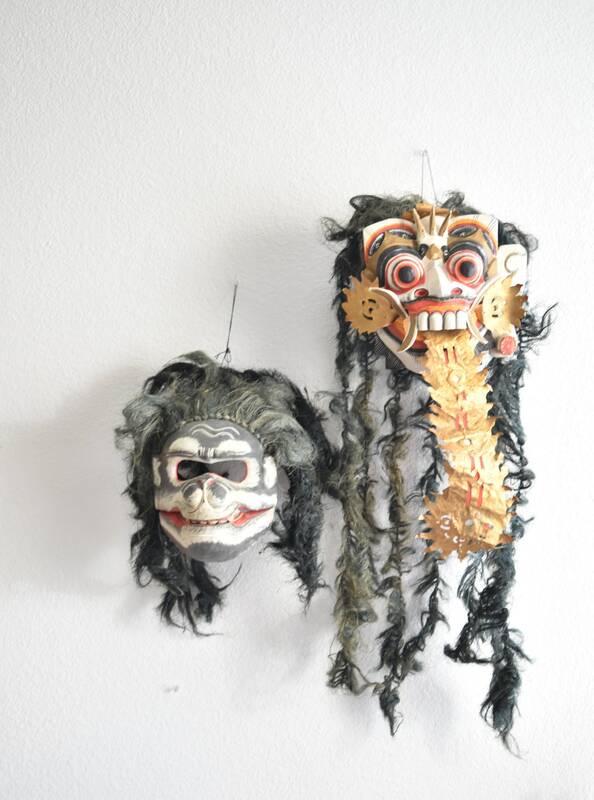 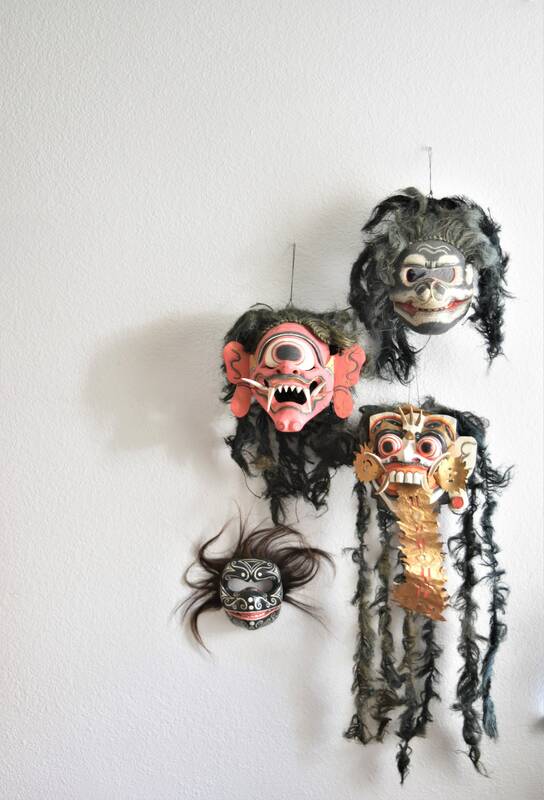 Mask is of Hanuman Loyal Monkey General Topeng. 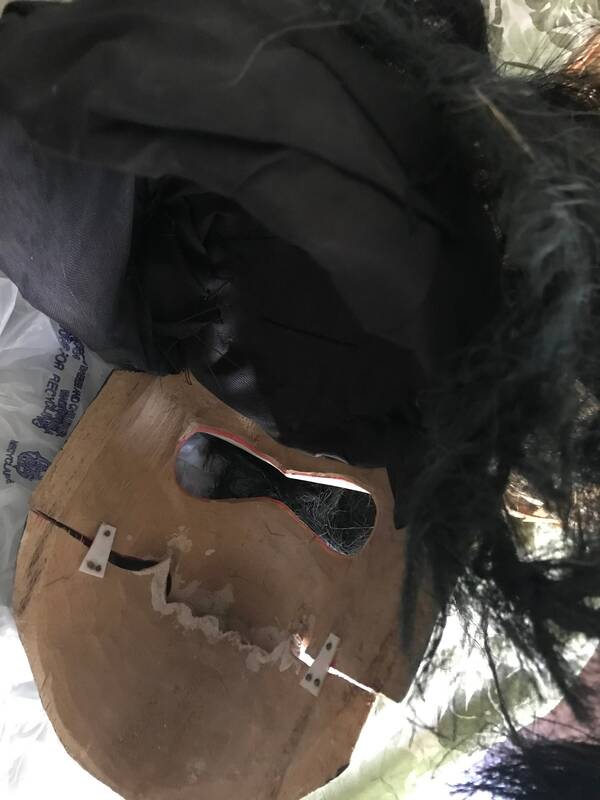 Has a chip on the back bottom of mask.